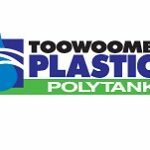 Are you considering investing in a polyethylene water tank in Queensland? The Sunshine State is in a prime position for a household or business to reap the rewards of a water storage scheme. Summers and winters are perhaps more varied in the east-coast territory than anywhere else, with sweltering hot sun juxtaposed with cold snaps and annual storm seasons. This means that not just any water tank will do the job. The product you choose needs to stand up to ultraviolet solar radiation as much as it does frost and blustery winds that can bring with them a barrage of shrapnel ready to destroy outdoor products that stand in the way. That's why water tank suppliers in Queensland aim for quality in the manufacturing process. By using a high-quality resin and a production method that prioritises strength, the final product is built to last, even in tough Queensland conditions. Take Top End Tanks, for example. As the company's name suggests, this Bundaberg- and Glendale-based operation is able to provide water tanks specifically for Queensland users. And what a state to be in if you're aiming to collect and use rainwater. With an average of 100 rainy days a year, households and businesses alike have ample opportunity to fill their tanks in preparation for the dry seasons. Even in winter, using naturally sourced water instead of the mains supply can dramatically reduce a utility bill. The trick here is finding a product that suits your needs. 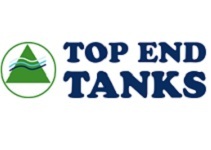 That's why Top End Tanks manufacture a range of products in various sizes to match a number of applications. These start at 600-litre polyethylene water tanks and stretch up to variants with a 47,500-litre capacity. Smaller models are ideal for households that want to dip into their collected rainwater reserves for gardening jobs or other low-volume uses. Meanwhile, large property owners can collect tens of thousands of litres of free rainwater and use it to clean, irrigate, manufacture, cool machinery and a whole host of other tasks. Of course, not all users sit at one end of the scale, which is why Top End Tanks have products that range between the two extremes, meaning the company can supply a tailor-made water tank solution for the individual. Complimenting this bespoke approach is the option to have your tank delivered in one of 14 colours, and with inlet and overflow positions dictated by the customer. If you're a first-time buyer, no worries; Top End Tanks are on hand to help you choose your new rainwater tank.